Got chocolate covered pretzels. It was a mixed bag with milk chocolate, white chocolate and dark chocolate. They are so good! Highly recommend! Great shoppe with yummy treats. It was decorated for Valentines Day, and smelled like chocolate heaven. Candy Cottage is one of our favorites and we know the owner. Wide selection and excellent quality. My go to place for Valentines Day, Easter and all other holidays. What a great find in town!! I live on the other side of town and had no idea Donna had this great shop. I will definitely be back. Perfectly nice place except I don't want to go there again because candy is not good for my teeth! Cute old-fashioned candy store with great selection and friendly staff. Yummy dairy and gluten free chocolate options, and friendly customer service! I will definitely be going back! Donna is a delight. She is very welcoming when you enter her store. Patiently answers all your questions. Her selection is fantastic. I have a dairy allergy and was able to get a number of dairy free chocolate candies. If you are looking for other food items, especially for gifts, she has a solid selection. I also enjoyed the selection of candies from a 'going down memory lane' to my childhood. Thanks Donna for adding smiles and laughter to my and my friend's afternoon. Sales person was very helpful and friendly. Will be returning to this store. The owner of The Candy Cottage, Donna was very helpful during my recent visit to purchase some goodies for our up coming vacation. I would recommend The Candy Cottage. The Candy Cottage is a great candy shop. Old time favorites with new funky candy. The shop keeper is always very friendly. Owner was kind and helpful! Went above and beyond to accommodate my requests. Candy Cottage is a super cute boutique with a great selection of candies. We had a great experience and got some delicious treats! The sales person was super friendly and helpful. Friendly staff person, just what you would expect in a neighborhood candy store! Great assortment of different chocolates, nuts and candies! A great local business with excellent customer service! The Candy Cottage is the BEST! The selection is amazing and the quality of the candy is the best around. Great selection of candy and chocolates! 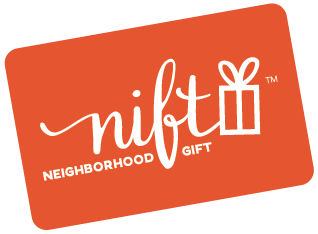 I enjoyed using the nift card. Donna was amazing and very sweet. Great story with delicious chocolates! Donna was extremely helpful and kind upon my first time entering the shop. She was knowledgeable and patient with helping me find and pick what gourmet chocolates I would ultimately end up choosing. I will certainly be paying another visit back to the Candy Cottage. They have a nice selection of treats as well as some interesting gift items. Love to go to Candy Cottage. Donna always has the right candy for every occasion. She is so helpful with her hints to please every candy lover!